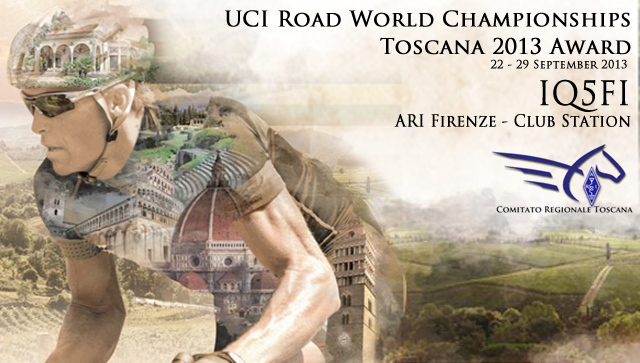 2013 UCI Road World ChampionshipsÂ – that will be held in Flonrece, in Tuscany from 22nd to 29th September 2013. 30 points – for DX stations . 1 point – any station in the call area 5. Stay tuned and keep in touch with the stations operating from the Cycling tracks !